Pro-location Con-fan room too hot, roaches in the bathroom, rickety stairs. The stairs to get to your room are scary and questionable but otherwise this is a fantastic location. There was lots of construction dust all over the place but this is not their fault. I just wiped it down myself. Old rooms, old furniture. The bathroom was awful - the shower worked a bit, everything dirty and broken. In the room cockroaches running around, flying mosquitoes. Of the plus only - a good breakfast and a convenient location. The place was not so clean, the breakfast was not served on time, the staff was not accomodating. Nido Skyline is on one of the principle streets only minutes from the beach, it has a restaurant below with great food. Staff was very friendly and helpful. It was a tad dirty though and I did find bugs living in the room. 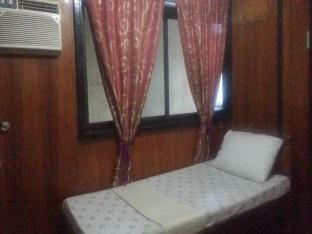 Accomodations are expensive in El Nido, but I think you can find better options for the same price. Also Agoda is a horrible service with no customer service and has messed up my bookings multiple times and refuses to take responsibility, I would recommend other platforms such as hostel world. Good location and away from the noise of the main road... although a building side across the road. Nice balcony. Stayed here for one night only and checked out to stay elsewhere as the staff was quite grumpy and unhelpful. Although we had a fan, the room was uncomfortably hot. not so clean. a bed at sleep on. Staff needs training. Owner keeps on shouting on them while I eat breakfast. Rooms not that clean, my first night is a mess. Bed bugs! Used the blanket as an additional padding to the bedsheet. There is no wifi throughout my stay as per Agoda. Though breakfast is good and the place is near the beach and the establishments. - Unwilling to help staff. - Inexistent Wi-Fi - Sensitive to the frequent power cuts in the city. Lack of a backup generator. - Room in very poor conditions. - Bathroom door broken. - Very low water pressure. 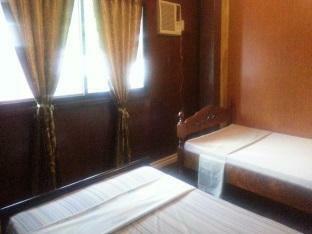 If you want to find a cheap and very convenient accommodation in el Nido town, this is def the right place. Owen, the hotel manager, is a great guy!!! He can help you with anything you need, above all if you are interested in island hopping tours or diving! Good value for money. Facilities are descent for a non-demanding guest. Staff are nice, will accommodate if needed of help. Good location just a minute walk to the beachfront. Overall, satisfactory. Dirty hole. No mirror ( they gave me small plastic, when I asked), broken plastic bathroom doors etc. We didn't expect much for the money we paid, as Nido is overpriced and touristic, but above all we were bitten by so many insects (I don't even want to imagine what kind it was) overnights, that my husband got even wounds infected. Room is very basic, no hot water, toilet didn't flush, bed acceptable, street noise very loud at night - not for the light sleeper. No wifi, though the Agoda ad says otherwise. Restaurant service not good, food no better than average. But it's inexpensive; and in busy times it's better than a dorm room. The hotel is ok but not clean. Room is smelly. There are rats - big rats running in their balcony. 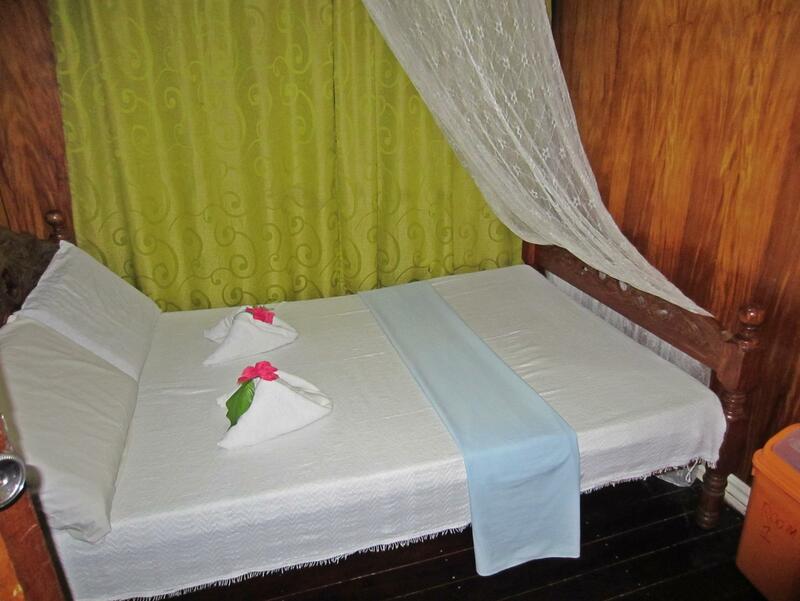 This inn is in a very convenient location near the port and beach, and centrally located, near several stores, cafes, restaurants, and shops. I stayed in a small room with a fan & private bath. The room is extremely basic but does its job since you’ll be out doing some island-hopping tours or hanging out at the beach anyway. This is just a place to rest your head every night. The bathroom is a bit cramped, the door doesn’t lock, and the toilet doesn’t work too well. When you pour a bucket of water into the toilet (it’s not a flush toilet), it still does not flush well. Besides the inn, there is a restaurant downstairs that serves good food. Breakfast was included in my room rate, and I ate dinner a few times during my 4-night stay here. There is also a tour assistance desk plus ferry booking service. If you’re looking for a budget room that is close to everything, this does the job.